Yeboyes » Yeboyes – Supporting children in the UK and Africa through primate-based activities. Volunteer to help. We are looking for enthusiastic, reliable, sensitive and caring volunteers to help out on our UK primate days. The days are planned at various child support charities. So far we have been working with children’s hospices, where we worked with siblings of the children who are supported at the hospice. The days are full of creativity, fun, looking at feelings, communication and the similarities between primates and humans. The activities are very flexible and we always have an open mind and invite ideas of new activities. The volunteers working on the day need to be able to use their intuition and be spontaneous if needed, as-well as sticking to the aims of the day. Contacts for these volunteering roles are at the bottom of the page. 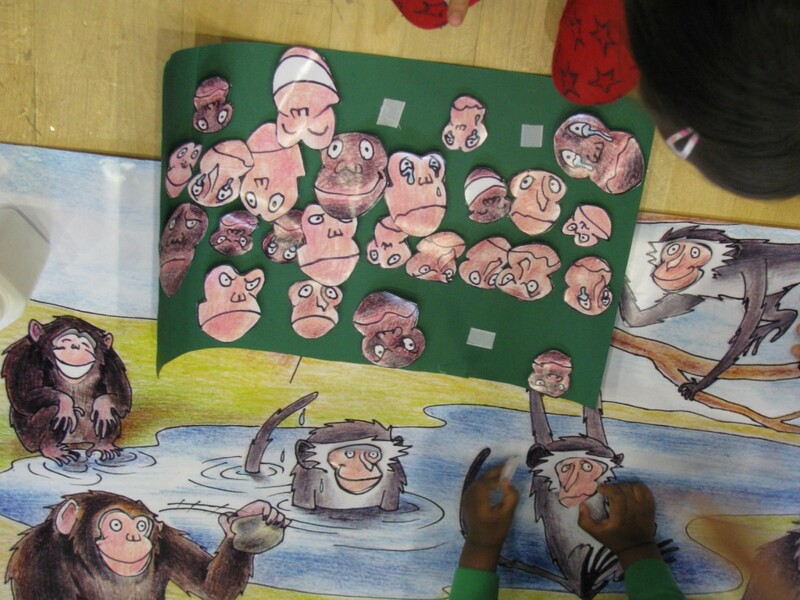 The primate communication board is a game where the children stick on different faces of expression onto the primates on the board. The board is made up by our activities coordinator and is a group of monkeys with missing faces with velcroe on. We then have a pack of monkey faces with different expressions on such as sad, happy, tired, excited etc. The children are able made up stories of what is happening to the primates to cause them to have the expressions that they were changing around on the faces, which are interchangeable with velcro backs. 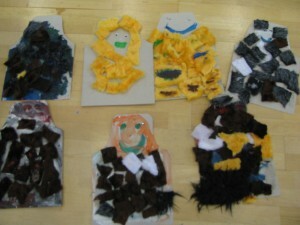 We help the children make primate puppets, using cardboard and furry material. 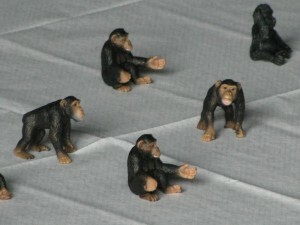 These are made to allow the children to create their own primate with their own expression. They can then make up a puppet show and take these home with them if they would like to. If you think you would be a good candidate for this volunteering role then we would love to hear from you.